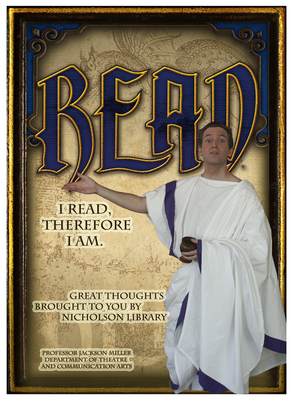 Jackson Miller, Associate Professor of Communication Arts and Director of Forensics, as Cicero. Terry, Paula and Nicholson Library Staff, "Jackson Miller READ Poster" (2007). READ Poster Gallery. Image. Submission 2.